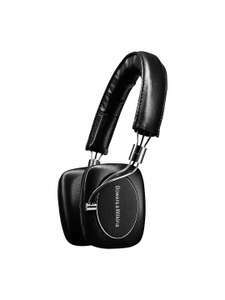 Bowers & Wilkins P5 wireless on-ear headphones. Brand new and delivered from Microsoft. Can get 1% top cashback on top. Hi, this is my first hotukdeals post. I have enjoyed using the wired version of these for a few years now and following a phone upgrade I was looking for a wireless pair and this is the cheapest I’ve seen them brand new. Considering the materials, build quality and reviews this is a decent sale price for a solid pair of wireless headphones! Hi, this is my first hotukdeals post. I have enjoyed using the wired …Hi, this is my first hotukdeals post. I have enjoyed using the wired version of these for a few years now and following a phone upgrade I was looking for a wireless pair and this is the cheapest I’ve seen them brand new. Considering the materials, build quality and reviews this is a decent sale price for a solid pair of wireless headphones! If you're in the market for something also in the store and can get the total over 400, there is a 100 off if you have the right kind of Amex too. There is a thread on it on hukd. Over ear so not for me. But a good price. Hi basergorkobal, these are on-ear not over ear. Deal posting newbie! This is PaulOrgane first deal post. Help out by leaving a posting tip or just to show your appreciation for their contribution.